Genuine Parts Company (GPC) distributes automotive replacement parts, industrial replacement parts, office products, and electrical/electronic materials in the United States, Puerto Rico, Canada, and Mexico. 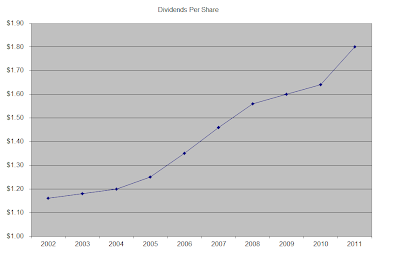 This dividend king has paid dividends since 1948 and increased distributions on its common stock for 56 years in a row. The company’s last dividend increase was in February 2012 when the Board of Directors approved a 10% increase to 49.50 cents/share. The company’s largest competitors include W.W. Grainger (GWW), Autozone (AZO) and Advanced Auto Parts (AAP). Over the past decade this dividend growth stock has delivered an annualized total return of 9.30% to its shareholders. 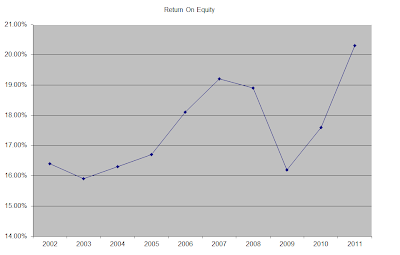 The company has managed to deliver a 6.10% in annual EPS growth since 2002. 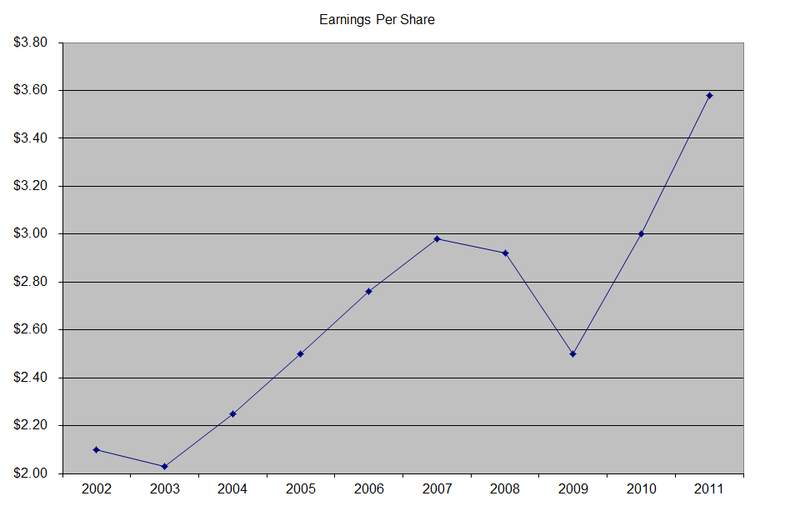 Analysts expect Genuine Parts Company to earn $4.07 per share in 2012 and $4.39 per share in 2013. In comparison Genuine Parts Company earned $3.58/share in 2011. The growth in EPS was helped by stock buybacks, where the company repurchased about 1% of their outstanding stock each year over the past decade. The company’s near term prospects should be aided by sales growth, triggered by the expansion in the US economy. It should also be able to leverage its distribution networks to increase sales in acquired companies. Margins should also be higher on cost cutting and higher volumes. Longer term the company could benefit from increased complexity of vehicles and the rising number of automobiles. The company seems to be very conservative in its finances and has a low level of debt coupled with strong cash flow from operations to fund future dividend increases. The industry will force a lot of smaller competitors out, which could result in more opportunities for Genuine Parts Company. Long-term growth will be driven by internal growth and acquisitions. 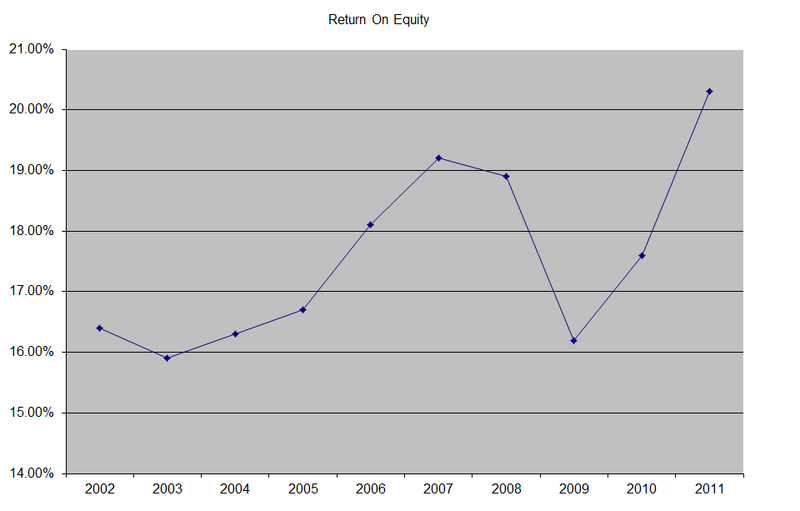 Genuine Parts Company has managed to earn a higher return on equity over the past decade. In fact, this indicator increased from 16.40% in 2002 to 20.30% in 2011. Rather than focus on absolute values for this indicator, I generally want to see at least a stable return on equity over time. The annual dividend payment has increased by 4.80% per year over the past decade, which is lower than to the growth in EPS. 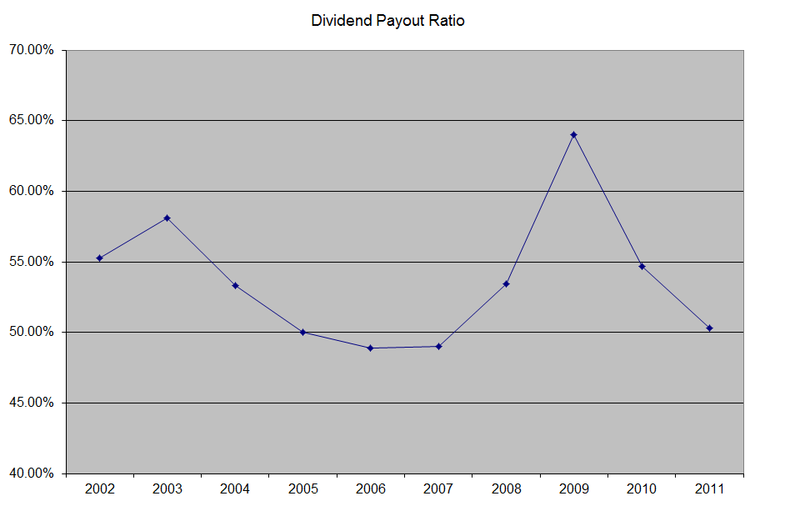 Over the past two years however, dividends have been raised at a rate of 10% per year. Given company’s EPS projections, I would expect another high single digit increase in 2013, followed by a return to the 5% growth in distributions. A 5% growth in distributions translates into the dividend payment doubling every fifteen years. If we look at historical data, going as far back as 1983 we see that Genuine Parts Company has actually managed to double its dividend every ten years on average. 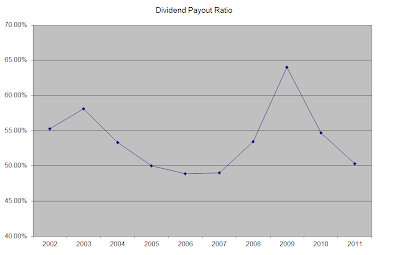 The dividend payout ratio has closely followed the rise and fall of the economic cycle. It decreased between 2003 and 2007, rose in 2008 – 2009 and has been on the decline ever since. Overall, it has remained firmly above 50%. A lower payout is always a plus, since it leaves room for consistent dividend growth minimizing the impact of short-term fluctuations in earnings. Currently, Genuine Parts Company is attractively valued at 16.50 times earnings, yields 3.10% and has an adequately covered dividend. I would consider initiating a position in the stock on dips, subject to availability of funds.